ESL has announced a partnership with NADA, the Nationale Anti Doping Agentur, to develop an anti-doping policy that is "fair, feasible, and respects the privacy of the players," while still providing effective measures against the use of performance-enhancing drugs at pro gaming tournaments. It will also begin testing players for the use of PEDs at the ESL One Cologne event in August. The need for an anti-doping policy in the sphere of professional videogaming may not be immediately apparent, but the ESL was prompted to make the move following a confession by former Cloud9 player Kory "Semphis" Friesen that he and his teammates had taken Adderall while competing at ESL One Katowice in March. Adderall is typically used to treat ADHD and narcolepsy, according to its Wikipedia description, but because its side effects include increased concentration, alertness, and wakefulness, it's also commonly taken as a "performance and cognitive enhancer." Friesen's implication that the use of Adderall is common at ESL events drove the partnership with NADA, as well as WADA, the World Anti Doping Agency, which will also be involved in "making, enforcing, and further internationalizing" ESL's new policies. "ESL will use the expertise of NADA and WADA to create a PEDs prevention program, which will be distributed to all players participating in esports competitions organized, hosted or produced by ESL. 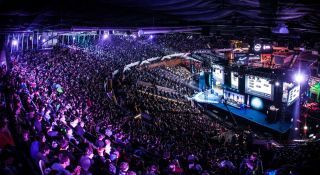 The goal of this program is to ensure players are provided with information and structural support to help them manage the physical and emotional pressure that the highest level of competitive gaming puts on many of them," ESL said in a statement. "In the meantime, we also wish to take immediate action to ensure the company values of exemplary sportsmanship and integrity are guarded. With that in mind, we are going to administer first randomized PEDs skin tests at the ESL One Cologne event this August. Our aim is to perform those tests at every event in the Intel Extreme Masters, ESL One and ESL ESEA Pro League competitions." We'll be speaking with ESL about its new anti-doping policies and how they'll be administered soon.